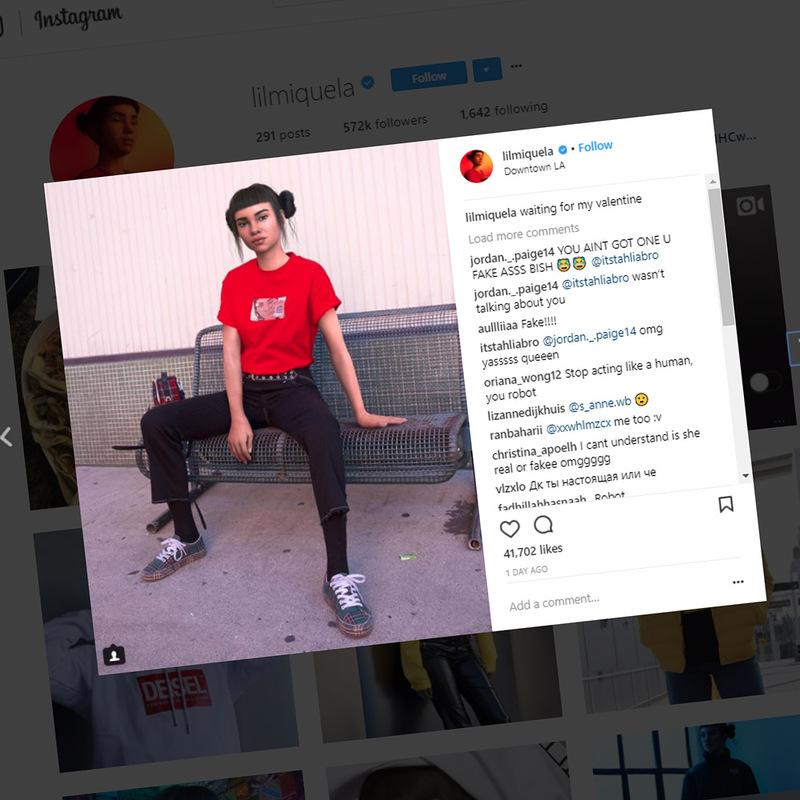 Meet Miquela, the Instagram fashion/social cause influencer who is completely virtual. While some of us struggle to break the one thousand mark, she has no fewer than 572 thousand followers. I imagine that current fashion is a lot more popular than muffler installations or lunch specials, so we’ve got that to comfort us. There’s an interview her creator at Business of Fashion with a couple of social media takeaways for the flesh and blood among us. Success is attributed to the sense of community with her followers.